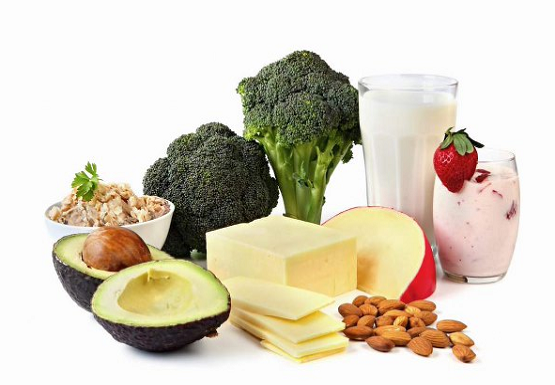 Calcium and Vitamin D to maintain bone health - Calcium is by far the most abundant mineral in our body important. Not surprisingly, he plays many important roles in maintaining the overall function and health. One of the main functions of calcium is to provide a bone structure and teeth. We can not survive for long if our level of calcium in the blood goes above or below a narrow range; So our body maintains adequate levels of calcium in the blood at all costs. When we do not consume enough calcium in our diet, a process called resorption occurs. Osteoclasts, which are cells that erode bone by secreting acids and enzymes that are buried in the grooves in the bone matrix. Then comes training where new bone is formed by the action of cells called osteoblasts. In young healthy adults, bone resorption and formation processes are equal, so that most of the bone is broken down and built, maintenance of bone mass. Around age 40, bone resorption begins to happen faster than bone formation, and this imbalance results in a total loss of bone density. Because it affects the vertebrae of the spine, as we tend to lose height as they age. Calcium is also essential for the normal transmission of nerve impulses. The flow of calcium into nerve cells and stimulates the release of molecules called neurotransmitters which transfer of nerve impulses from one nerve cell to another. Without enough calcium, the ability of nerves to send messages is inhibited. Not surprisingly, when calcium levels in the blood fall dangerously low, a person may have seizures. Another role of calcium is to help muscle contraction, maintaining healthy blood pressure, the start of blood clotting, and regulation of various hormones and enzymes. There is no RDA (only adequate intake) value for calcium, but the values ​​of adults over 50 years, tweens and teens have the highest requirement. Many people of all ages can not consume enough calcium to maintain bone health. However, the bioavailability of calcium depends on many factors. Vitamin D, which I will briefly increases the absorption of calcium by the intestines. Vitamin D, which is different from other nutrients, because they do not always have to come from our diet. This is because our body can not synthesize vitamin D by using the energy of exposure to sunlight. However, when we do not get enough sun, you have to consume vitamin D in our diet. There have been studies that suggest a lack of vitamin D may play a role in cardiovascular disease, multiple sclerosis and rheumatoid arthritis (IFIC Foundation 2007). But if sun exposure is sufficient, then you should not consume vitamin D in your diet. People who live in sunny climates can synthesize enough vitamin D from sunlight to meet their needs throughout the year - the time they spend time outdoors. However, the synthesis of vitamin D from sunlight is not possible during the winter months for people who live in places located at latitude 40 degrees north and 40 degrees south. Indeed, in these latitudes in winter, the sun does not rise high enough in the sky to give direct sunlight is necessary. Calgary is said to have more hours of sunshine than any other city in Canada; However, at latitude 51 degrees north, the sun's ultraviolet rays are not strong enough to produce sufficient vitamin D in the skin of many people. Consequently, Canadians can not rely on exposure to synthesize vitamin D from October to April, and provision or adequate dietary supplementation becomes essential during these months. In conclusion, many nutrients that help maintain bone health, calcium and vitamin D have received the most attention for its role in the prevention of osteoporosis. Studies with older adults have shown that taking calcium and vitamin D supplements reduce bone loss and fracture risk. If people do not consume enough of these nutrients over time, your bone density is lower and a higher risk of bone fractures. For more information you can see my Web resources.